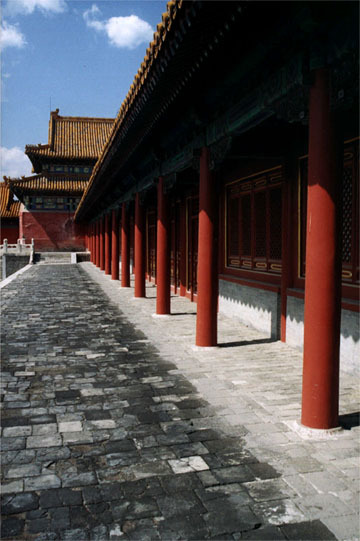 This is the hallway around Xie He (Harmony) Gate (east of the Gate of Supreme Harmony). Again, notice the red and yellow colors. The paving blocks were fired in kilns in Su Zhou in southern China.